My work was represented by Jill Corcoran at Transatlantic Agency. As Jill has recently left agenting to work for the Smithsonian, I am seeking new representation. RESET has not been on submission to editors. RESET is a 75,000-word work of speculative fiction for young adults. When the universe resets itself, no one notices—except for Lia Tobin. Since she was six years old, Lia’s been able to recognize when the universe has erased the future and given her a chance to live life differently. The flip side of this gift? She can’t control when it happens. After the disappearance of her 10-year-old sister, Lia would give anything to be able to make the universe reset itself so she could have a chance to save Maddy. But the universe is uncooperative, which forces Lia to live through the rest of her senior year as the girl with the missing sister, watch her parents’ marriage dissolve, and finally discover Maddy’s body. All without a single chance at a do-over. Until her former classmate, Jay Garza, is murdered, and the universe resets six months. Suddenly, Lia’s dream has come true: she has a chance to save her beloved little sister. But by being hyper protective of Maddy, Lia completely ignores Jay, until the universe makes it painfully clear that his life is a priority, too. Choosing between Jay and Maddy seems like a no-brainer, until Lia meets someone else who recognizes the resets. She learns that ten years in the future, Jay is a celebrated researcher on the brink of developing a cure for cancer. Saving Jay now feels like saving the whole world. But then Maddy disappears again. In fact, every time Lia focuses on protecting Jay, Maddy disappears. When Lia shifts her attention back to Maddy, terrible things happen to Jay. Lia is reset to avert each catastrophe, but she knows she must do more than fix things—she’s got to find out who’s responsible. As she knows only too well, the universe could stop resetting whenever it chooses, leaving Jay or Maddy to a terrible fate. I'm also revising something NEW! My WIP is tentatively titled GHOST GIRLS. Ella Andrews' biggest concern in life is the senior-year exit project, which will determine whether or not she graduates on time from Mercer High. The exit project is meant to showcase each student's unique talents, and Ella would love to show off her creative writing skills--if she could come up with an idea for a book. When out for a walk in her old neighborhood, she's hit in the head by a rogue dinner plate thrown from the home of a girl from school. Neesha Lawrence confesses to the stunned Ella that the Lawrence house might be haunted. Ella realizes that teaming up with Neesha to hunt the ghost is the perfect real-world experience she needs to write a killer book for the exit project. Ella and Neesha are joined by popular-girl Micah Ogilvie, the only other student brave enough to record the ghost's destruction instead of run from it. Hunting ghosts is all fun and games, until people start to get hurt. When the girls discover that there’s more to this ghost than they originally thought, they’ll have to band together even stronger to take down the force that’s really destroying their town. 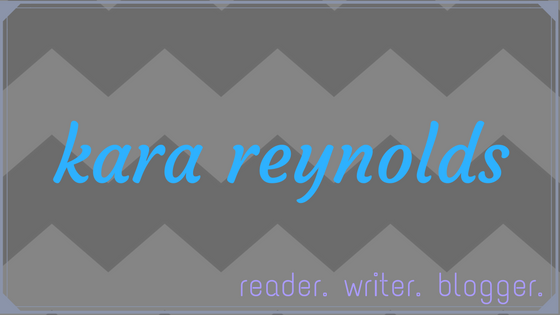 And because I'm a NaNoWriMo Municipal Liaison, I started a brand new project this November. It's a Young Adult retelling of When Harry Met Sally... if they'd met when they were six.